Sire Acoustics. These look interesting. Seems to be another set of acoustics coming in at the competitive <300 and <800 price points. Heard very good things about the basses and Mike Dawes seems positive about these, which has to be a good thing, particularly as he has no affiliation with them. 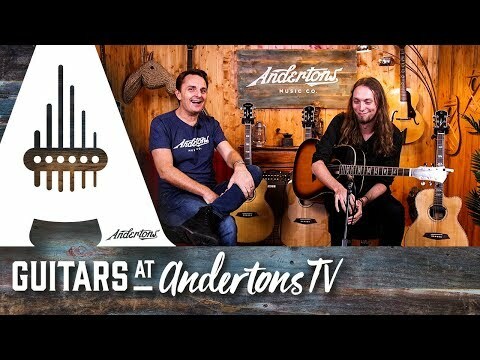 Obviously there's an element of sales pitch with any Anderton's vid, so would be interested in alternative views but these could be another option to consider for a budget or mid-price acoustic. They look like they were made in the same Korean factory as the PRS acoustics I think, which are supposed to be good guitars. For that price range, I myself would go for the Eastman offerings. Look and sound great in the video, I guess they always do! Has anyone on here played one? I'm intrigued by the R3, £299 seems like a steal for the tones they were getting in the video! Sire started with basses thanks to Marcus Miller, they sold lots of them few years ago. People were pretty happy about quality/price. I would say is like chapman with guitars. Can somebody please edit Mike Dawes speaking on this video and post it on the Insomnia thread?